Looking to set some goals? INSIDE : Looking to set a goal or resolution for the new year? 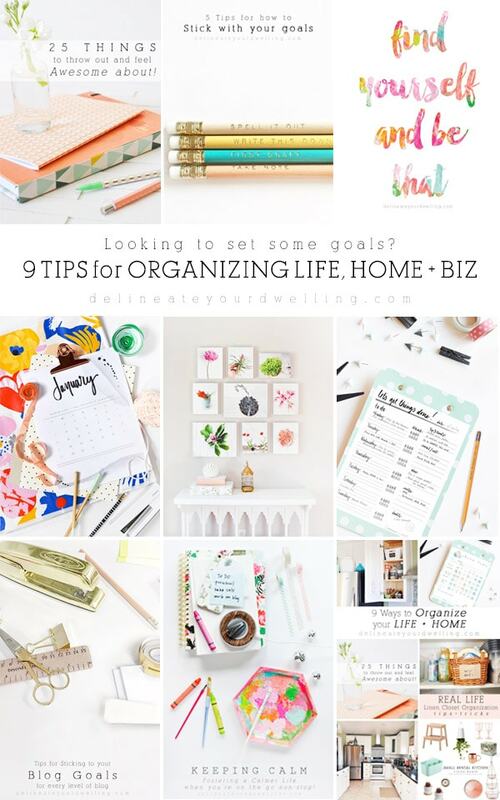 I have tips and advice for taking control of your home organization, life and business! All you need to do is simply start. I have written so many new year’s posts about giving your home a fresh start for the new year, starting to-do list and making small attainable goals. If you by chance are looking to set some goals this year, then you have come to the right place! Despite my love of all things colorful and fun, this medium monthly planner has changed my life. There is something about it’s simple and clean design that I love. I love paper products and the chipboard cover is simple and oh so perfect. I have used this exact planner for the last three years. And if you are ready to start afresh this year and take back your life, you might be interested in my ebook, Just Start. Because I believe with all my heart that nothing changes in life until you begin!